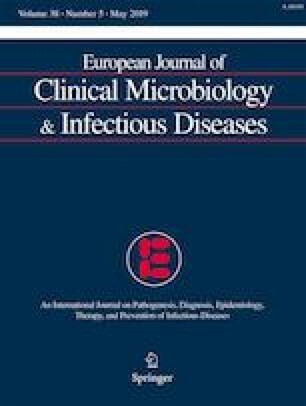 The objective of this study is to evaluate the characteristics and outcome of elderly patients with Mediterranean spotted fever (MSF). This study was a prospective observational cohort study of all adult cases with confirmed MSF treated in a teaching hospital (1984–2015) to compare the characteristics of elderly patients (> 65 years) with younger adults. We identified 263 adult patients with MSF, and 53 (20.2%) were elderly. Severe MSF was more frequent in the elderly (26.4% vs. 10.5%; p = 0.002). Gastrointestinal symptoms, impaired consciousness, lung infiltrate, oedema, acute hearing loss, raised alanine transaminase, hyponatremia, and thrombocytopenia occurred more frequently in elderly patients, and arthromyalgia occurred less frequently. Most patients were treated with a single-day doxycycline regimen (two oral doses of 200 mg for 1 day). All patients recovered uneventfully. Fever disappeared 2.55 ± 1.16 days after treatment initiation in elderly patients, and the remaining symptoms disappeared after 3.65 ± 1.42 days. These figures were similar to non-elderly patients. Severe MSF was more frequent in elderly patients. Some clinical manifestations occurred with different frequencies in the elderly compared with younger patients. Single-day doxycycline therapy is an effective and well-tolerated treatment for MSF in elderly patients. The authors thank the staff of the Internal Medicine Service at Hospital de Terrassa, for their cooperation. EE and FB were involved in the study design. EE, MA, MCG, MM, and AF were involved in data acquisition. All authors were involved in data analysis and interpretation. EE and FB drafted the manuscript. MA, MCG, JP, MM, and AF revised the manuscript critically for important intellectual content. All authors approved the final version to be submitted. This study was approved by the Institutional Review Board. This study complied with the principles of the 1964 Helsinki Declaration and its later amendments. Informed consent was waived because no intervention was involved, and no identifying patient information was included.